Our research on undersea earthquake observation was featured in Utokyo Research 2017 . *Utokyo Research 2017 is published by Division for Strategic public Relations, Univ. Tokyo, introducing the Feature Stories and striking images posted to the Utokyo Research website in 2016. To properly understand earthquakes, we need to gather observational data from near their source. 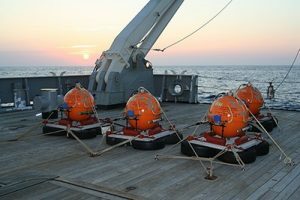 Working to that end over many years, the Earthquake Research Institute at the University of Tokyo has developed a system capable of monitoring the earthquakes that occur frequently under the sea. This system also played a role in understanding the 2011 Tohoku earthquake, but even as the accuracy of observations has increased, we are learning that the mechanisms underlying seismic events are more complex than they seem.